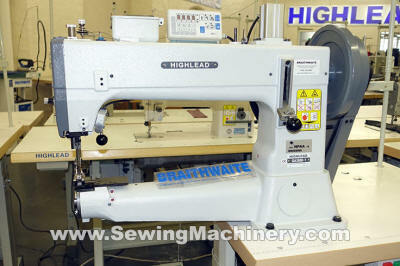 This model is the giant in the Highlead range of walking foot cylinder arm heavy duty sewing machines. 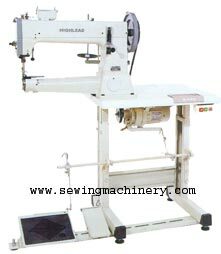 Its powerful and steady triple feeding action (bottom feed, needle feed and walking foot feed) enables you to sew multiple ply of heavy weight material with a true and even stitch. 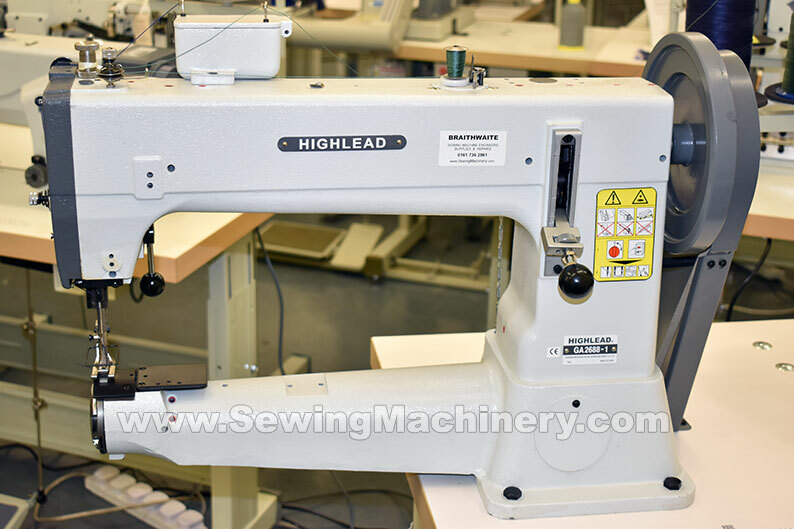 Bags, saddles, seats, harnesses, safety belts, straps, technical textiles, filters, general leather and upholstery products etc..
A stitch length of up-to 11mm is possible and the machine has a reverse stitch lever as standard. The special extra large shuttle hook and bobbin capacity offers high efficiency in sewing products using extra thick thread up to metric size 8* (including sizes 30, 25, 20, 12, 8 & V92, V128, V207, V242, V277*). 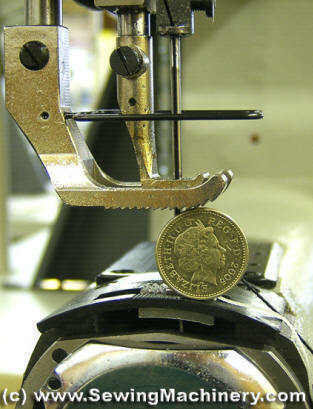 The bobbin winder is mounted on top of the sewing machine head for easy use and quick change over. The heavy duty presser foot assembly has an extra high lift of up to 20mm, allowing for a large range of extra heavy weight material to be used. The walking foot action is fully driven and combines with the bottom feed and needle bar feed to produce a positive feeding motion for extra heavy use. For improved versatility the cylinder arm clearance, to the right of needle, has been extended from the usual 240-300mm to a Long arm clearance of 400mm.